Joseph Dixon in the UK have shut their doors. We still have many Dixon tools in stock, but once they are gone we cannot get any more - at least for now. Please act before the bins are empty! 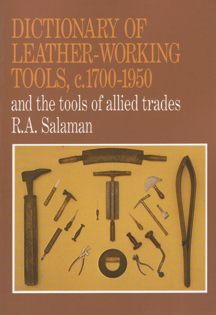 We offer the full range of tools from CS Osborne and Company, manufacturers of leatherworking tools since 1826. Made by Garland Manufacturing in Maine since 1899.